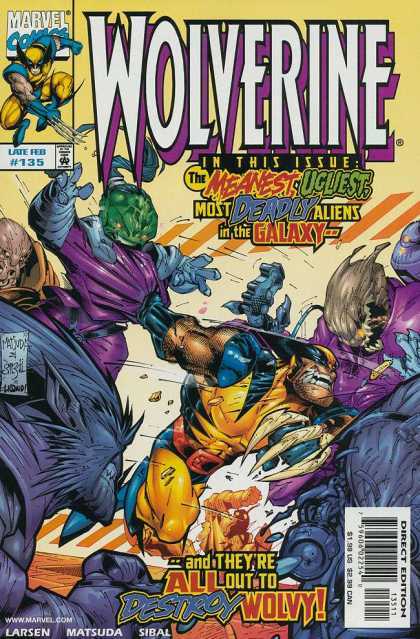 Summary: Wolverine helps dozens of the aliens escape before joining forces with Torgo and Aria to stop Galactus. Their plan fails when Aria is unable to possess Galactus and Wolverine’s bone claws aren't sharp enough to destroy his cosmic converter. 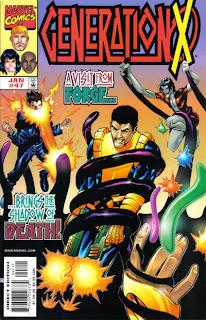 The Starjammers rescue Wolverine and Aria, but cannot save Torgo. Wolverine watches in horror as Galactus consumes Prison World. He’s also informed that Aria did not survive her injuries. Upon returning to Earth, Wolverine meets with Warbird again and apologizes for hurting her while possessed by Aria. Review: And now we’ve reached the rushed, chaotic conclusion. I can see what Larsen’s going for here, and on paper it sounds like a decent ending. Wolverine is forced to learn that he isn’t truly “the best there is” after facing a resounding defeat, and is now given a motivation to regain his adamantium. 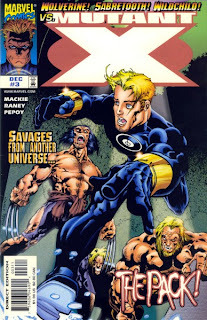 To throw in a few more angst pains, he loses the new alien friends he’s made and is unable to rescue the family of the kid asparagus alien (who’s already lost the rest of his race to Wolverine’s teammate…or however you choose to define Dark Phoenix). Larsen also hammers home the idea that Wolverine refuses to ever quit in a fight, even against Galactus, a side of the character that’s usually glossed over in favor of tired machismo. That’s all fine, but the execution reads like a long, exasperating sequence of Wolverine running around in circles as aliens get blown up around him. 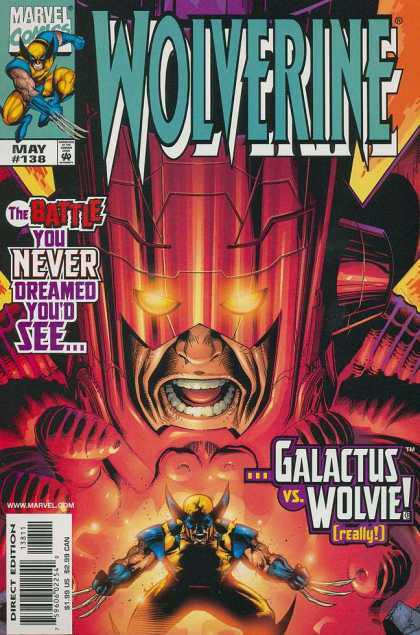 The story’s almost over before we even get to see Wolverine make his move against Galactus. Making matters worse is the trio of pencilers, accompanied by a trio of inkers, that have somehow ended up in the same comic. 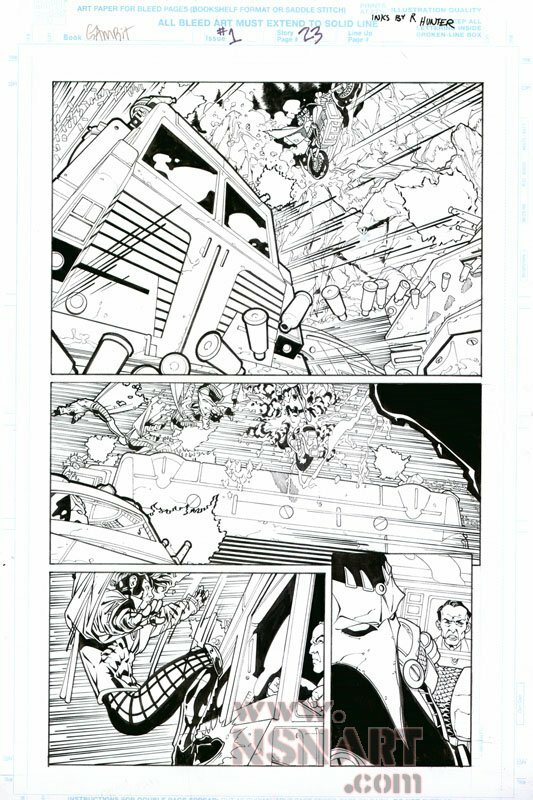 Jeff Matsuda is Jeff Matsuda (and he’s still looking rushed), Steve Scott’s work is reminiscent of Cully Hamner’s, and Yancey Labat’s pencils resemble early Stuart Immomen. Who could’ve possibly thought this was going to look right? Am I to believe that Marvel didn’t have a dozen manga-style artists on speed dial in the late ‘90s? It’s hard to believe that a title like Wolverine could be such a shoddy production, especially during the debut of a new creative team. Summary: While sledding with their newest member, Maggott, Generation X is ambushed by the prize hunter Slaughter. Slaughter restrains the team and leaves with his trophies -- Maggott’s slugs. Synch mimics Maggott’s power and creates his own slugs, which free the team from their bonds. They rescue Maggott’s slugs, but Slaughter escapes in a flash of light. Maggott turns down membership in the team in order to track down Slaughter. Meanwhile, Emma visits her older sister Adrienne. When Adrienne’s psychometric powers reveal the true nature of Emma’s school, she agrees to pay its debts. Later, Emma returns to the school with its new headmaster, Adrienne. Continuity Notes: Synch is able to fly after copying Chamber’s powers, much to Chamber’s surprise. This is presumably a reference to the original Generation X preview special, which claimed that Chamber will one day don a specially-made harness and use his powers to fly. 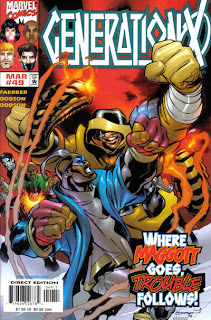 Review: Maggott was written out of X-Men with a one-page scene that had the Beast suggesting he join Generation X. For approximately six months, fans wondered when exactly this was going to happen. With this issue, the dangling plot thread manages to be resolved, only for Maggott to be shipped off into obscurity twenty-two pages later. New writer Jay Faerber was apparently sympathetic enough to the fans to give them an answer, but as he admitted online, he absolutely hates this character. I guess Faerber is willing to be nice to the readers, but he isn’t going to be a doormat. I wouldn’t say the issue makes it obvious that Faerber hates Maggott, but he does seem to view him as something of a cartoon. 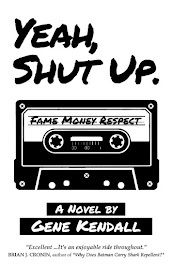 He exceeds Joe Kelly’s quotient for annoying South African slang in virtually every word balloon, for example, which may or not be an intentional joke. When he isn’t speaking in impenetrable catch phrases, Maggott does have a few funny lines (he wants to meet this headmistress that’s always walking around in her underwear), and he’s given a heroic motivation for leaving the team so soon. Then again, you’ve got to wonder why Banshee’s letting him go out on his own to find the villain instead of volunteering Gen X’s help, so maybe it is a little obvious that Faerber can’t wait to be rid of him. Meanwhile, the “Emma’s broke” subplot continues. Adrienne is apparently supposed to be Emma if she never reformed, so her addition to the cast has potential. 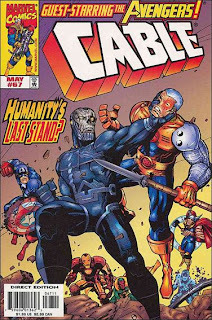 Summary: Cable and the Avengers continue to battle the Harbinger. Blaquesmith arrives in New York and uses his thought-projector device to inform Cable of Ozymandias’ prophesy. Cable refuses to allow New York to die, even if it will avert Apocalypse’s rule. Iron Man gives Cable his boots, which Cable uses to fly Harbinger into the atmosphere. Harbinger explodes, while a mystery figure rescues Cable. Stacey watches the skies, convinced that Cable is dead. Review: It’s another issue of a giant Avengers fight by Ladronn, so this isn’t all bad. Casey can’t seem to craft a story that matches the intensity of the art, though, leaving the “death of New York” concept to sputter out badly. 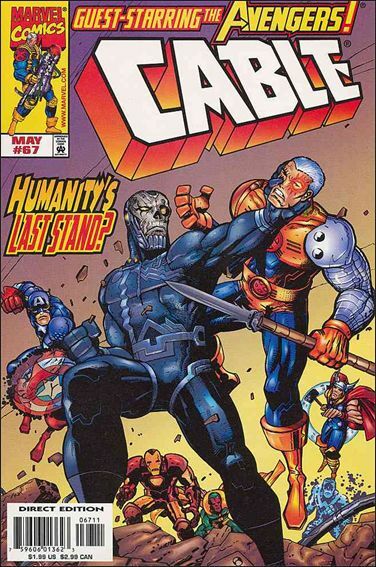 I guess the idea was to emphasize Cable’s evolution as a character through his decision to rescue New York, even if its destruction would guarantee Apocalypse’s defeat. To put it politely, this idea isn’t explored very well. 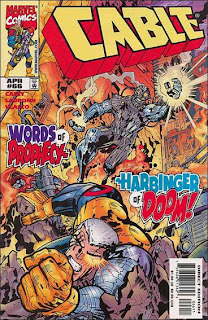 Cable doesn’t even learn of the prophesy until the final pages of the story, the specifics of how exactly the destruction of New York will eventually stop Apocalypse are never given, and at no point does Cable even weigh the options, which makes it a pretty lame ethical dilemma. Some of the character work with Stacey isn’t bad, but the grand tone Casey’s trying to strike with the story just comes across as melodrama. This was a three-issue story about a cyborg fighting some superheroes while he destroys a few buildings. It’s okay to dress it up a bit, but trying so hard to hit the “epic” note just emphasizes how silly the idea was in the first place. Summary: While Bloodstorm visits Forge, demons invade the Six’s headquarters. Havok and Scotty are cornered by the monsters, but Madelyne suddenly emerges as the Goblin Queen and saves them. She then abruptly shifts back into her human form. “That’s Crazy Because They’re Different”: A girl named Kitty is a servant at Forge’s manor. Forge offers himself to Bloodstorm as food, and she seems to believe that feeding on him relieves his unspecified suffering. Bloodstorm can also transform into fog in this reality. Better Than X-Factor? : Sure. Cary Nord’s just doing fill-ins at this point, but his style matches the dark tone of the story perfectly. There’s a lot of setup going on here, as page after page is dedicated to Scotty’s demonic visions and Madelyne spends several pages being tempted by the actual demons, but the art and colors help to sell the mood. It’s an “Inferno” callback, and as a late ‘80s Marvel fan, I can’t complain about that. Mackie’s also delivered a much more natural and subdued script this month. Perhaps this started as a gimmicky Halloween issue, but it worked out quite well. 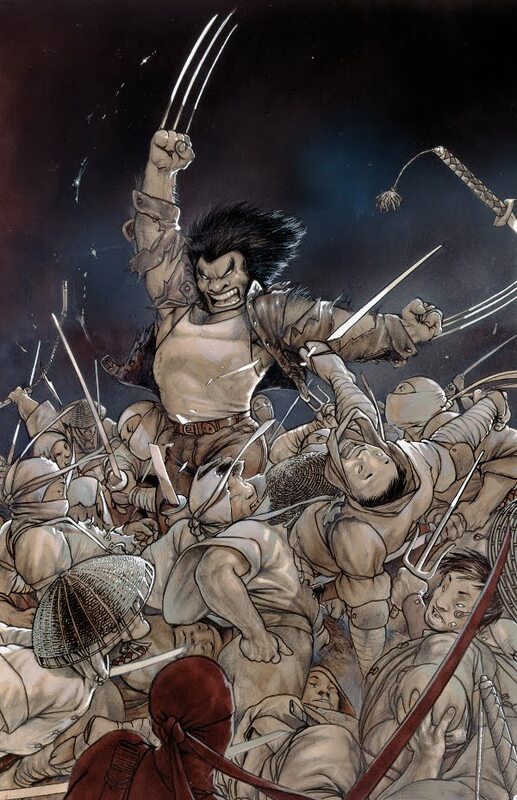 Summary: Wolverine rescues Aria, who takes him to Prison World’s main power core. They shut off the power, freeing the inmates. 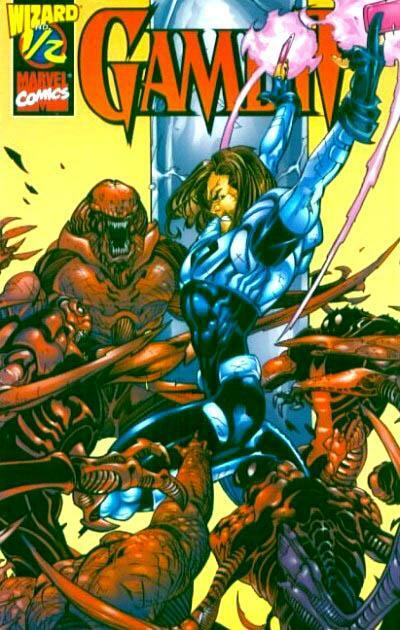 Before they can escape, however, they’re ambushed by the Starjammers, who have agreed to join the Collector’s cause. Corsair explains that Prison World was designed to be invisible to the outside world, but is now exposed without power. 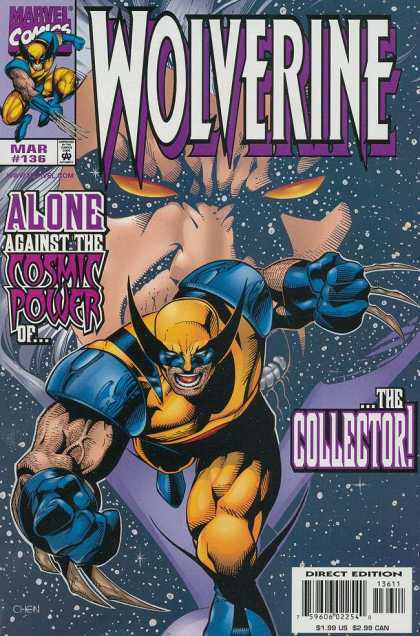 Wolverine questions what kind of threat the Collector needs to protect the aliens from, just as Galactus arrives on the horizon. Creative Differences: The third-person narration on the opening page is mistakenly lettered in Wolverine’s distinctive font. (According to Erik Larsen, almost all of the captions were added by editorial anyway.) Other lettering mistakes include a hand-written correction mixed in with the computer-generated font, and numerous dropped words. Review: I had given up on the Prison World arc by this point, but if I had made it to this chapter, I probably would’ve stuck around for the final issue. 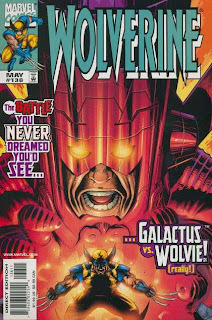 I realize that Galactus too often shows up in outer space stories, and many X-fans hated his appearance in this arc, but his role in this story does work as a legitimate twist. 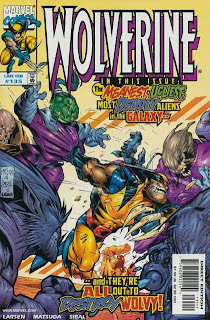 Wolverine’s spent the past several issues fighting to free these aliens, only to discover the Collector is trying to spare them from Galactus. Ooops. Now, the Collector could’ve saved everyone a lot of trouble by simply telling his subjects why he’s gathered them, but I’m under the impression that he’s supposed to be too arrogant and enigmatic to even consider the possibility. I still think the art’s too rushed and inappropriate for the subject matter, but I’ll give Larsen credit for picking up the pace and actually using the setting to his advantage this issue. 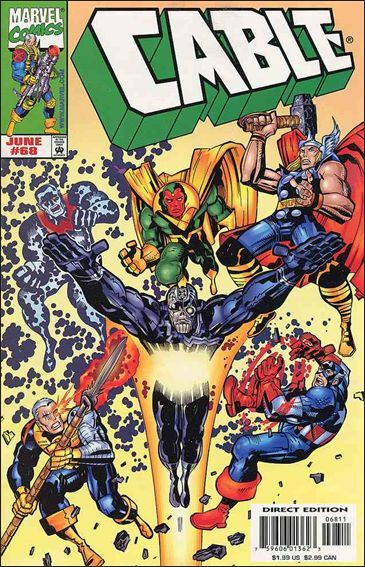 Summary: The Avengers confront the Harbinger, giving Cable time to recover. Using his Psimitar staff, Cable temporarily immobilizes Harbinger. Soon, Thor arrives and uses his hammer to send him to another dimension. Cable and the Avengers regroup, but Harbinger soon escapes his exile. Apocalypse greets him in New York and activates his detonation code. Meanwhile, Ozymandias informs Blaquesmith that Cable is destined to be the gatherer of the Twelve. Continuity Notes: A flashback reveals that Cable told Stacey about his life as a time traveler and the importance of his mission just a few hours before the Harbinger arrived. Review: This is Joe Casey’s first time writing the Avengers, which might be significant for fans of his retro-miniseries. Obviously, there isn’t a lot of room in the story to flesh out the characters, but he seems to have a grasp of their personalities and he makes their appearance feel appropriately momentous. If I were to draw another comparison between Casey and Frank Miller, it’s certainly possible that their appearance here was inspired by the Avengers’ cameo in Daredevil’s “Born Again” arc. Like the previous issue, this is largely an action piece, with Casey throwing in a few character bits, such as Cable reflecting on the things he never told his father before he leaves for his possibly final confrontation with Harbinger. I don’t care for Casey’s characterization of the Harbinger, since it seems dismissive of James Robinson’s original vision of the character. Robinson seemed to be going for a “discovering humanity” arc, while Casey is simply using him as a doomsday machine. At any rate, the action works pretty well, and Ladronn’s given a lot of cool things to draw. We’re treated to Ladronn’s renditions of the Avengers, Harbinger’s sojourn into an alternate dimension, and the bizarre nineteenth century “regal” redesign of Apocalypse, which is a welcome break from the blue armor. Summary: X-Force follows Domino to Almost Reno, which is now a ghost town. They eventually find their telepathic friend Mary, who’s discovered another mutant companion, Zack. Agent Briggs and his agents return to kidnap Mary and Zack. X-Force stops them, shortly before Odysseus Indigo arrives. Indigo explains that the Aguilar Institute is a branch of the Damocles Foundation, a group determined to survive the future. Years earlier, the Damocles Foundation mixed mutant and Deviant DNA to give the infertile parents of Almost Reno children. With the exception of Mary and Zack, all of the children have died. X-Force refuses to turn over the two children to Indigo, who peacefully retreats. Continuity Notes: Indigo says that he is the brother of the “traitor” Ulysses Dragonblood, the Deviant the team encountered in X-Force #84. Almost Reno first appeared in X-Force #77. This issue essentially confirms that Agent Briggs and his SHIELD agents, the villains of #77, are frauds. Apparently, they work for the Damocles Foundation. Zack resembles a gray Ben Grimm, which means he looks like one of those disposable New (or Young?) X-Men characters from the past few years. When he’s hurt in the battle, Moonstar uses her mysterious new powers to heal him. Review: And here is the all-too-rare sequel to a fill-in issue. 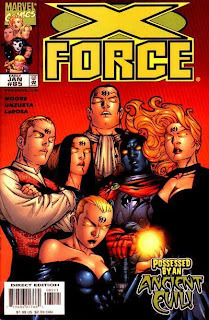 X-Force #77 had its moments, but it was heavy on the clichés and stereotypes. Moore corrects a few of those flaws this issue by establishing the generically corrupt SHIELD agents as frauds, and by revealing that nuclear testing didn’t create the child mutants -- it actually made their parents sterile. As a tie-in to the ongoing Damocles Foundation subplot, this isn’t that much of a stretch, so the past continuity works out quite well here. It is a little odd that the members of X-Force are still exceedingly nasty towards the non-mutant residents of this small town, though. The town’s been kidnapped as a part of the Damocles Foundation’s experiments, and while Indigo promises that they’re okay, the team has no reason to believe him. When Cannonball questions if they should find the citizens, which include Mary’s mother, Domino responds that the town can burn for all she cares. Sheesh. Since she wasn’t even in issue #77, it’s hard to reason why she’s so hostile towards these people. Is she angry that the citizens agreed to genetic testing to cure their sterility? Is that so bad a crime? They just wanted babies. Anyway, aside from those odd bits of characterization, another decent issue. 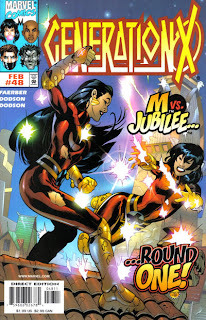 Summary: Irritated by M’s attitude, Jubilee challenges her to a duel in the Danger Room. Elsewhere, Emma learns that she’s lost considerable money in the stock market. When she suggests telepathically manipulating investors, Banshee convinces her to try a legitimate path. She decides to call her older sister, Adrienne. Meanwhile, Husk returns home and is disappointed by Chamber’s cold reaction. Unbeknownst to her, Chamber is following Skin’s advice. Later, Maggot arrives outside the school. Miscellaneous Note: The title of this issue is a reference to an old middle eastern fable about a fox that carries a scorpion across a river. In Aesop’s fable, the fox is replaced by a frog, but the moral is the same. Review: Jay Faerber debuts, and while his main story is essentially an extended Danger Room sequence, he introduces enough subplots to keep things fresh. The school’s going broke, Skin is giving Chamber bad relationship advice, Gaia can’t give Husk relationship advice because she’s been strapped to a rock her entire life, and several months after a set-up in X-Men, Maggott finally arrives. The momentum’s starting to pick up again, and it doesn’t hurt to have Terry and Rachel Dodson back, either. The M/Jubilee fight is mainly there to provide some action and give the Dodsons something interesting to draw, but Faerber also uses the sequence to address how M feels about the months she spent trapped in Penance’s body. Jubilee thinks M shouldn’t be so hostile to her, given the time she spent with Penance. M responds that Jubilee treated her like a pet. Apparently, she’s deeply offended by all of those apples Jubilee brought her during the Lobdell/Bachalo issues. It’s not a very logical grudge to keep, but it’s fitting with M’s character. As M uses the old fable to illustrate, it’s her nature to be this way. Faerber shows very quickly that he gets the characters, so even if this is mainly a set-up issue, it doesn’t feel like a waste of time. Summary: On their way to Alaska, the Six are shot down by the Canadian military. The team is kidnapped by the Pack, leaving Havok alone. After he accidentally uncovers the abandoned Weapon X facility, the Pack agrees to free the team. Inside, the flood of memories drives the Pack insane, leading to another fight with the Six. Alpha Flight arrives and arrests the Pack. To avoid an international incident, the Six peaceably leave. “That’s Crazy Because They’re Different”: The Pack consists of Wolverine, Sabretooth, and Wild Child. They’re all feral, and apparently only Wolverine has (limited) verbal skills. In this reality, the Weapon X project existed to create super-soldiers to fight against America in the Canadian/American conflict. Better Than X-Factor? : Even though this is the weakest issue so far, yes. The idea of a militarized, hostile Canada is so absurd I can’t help but to like it, but the introduction of the Pack is a disappointment. The actual plotting of the issue is also a bit sloppy, as the story requires 1) the Brute to abruptly switch sides twice, with no compelling reason either time, 2) Havok to luckily blast into the hidden entrance of the Weapon X facility, 3) the Pack to irrationally turn on the Six for a second fight, and 4) Alpha Flight to conveniently arrive in time to stop the battle. Mackie is still having some fun with the premise, though. Havok presents a rational argument to the Six, explaining that being stuck in an alternate reality is no more implausible than anything that’s already happened to the team. That’s, you know, a good point. Maddie counters that even if he’s telling the truth, in this reality Havok’s respected by his peers, is married, has a baby, and lives a nice life. Why would he want to give that up? That’s not a bad argument, either. 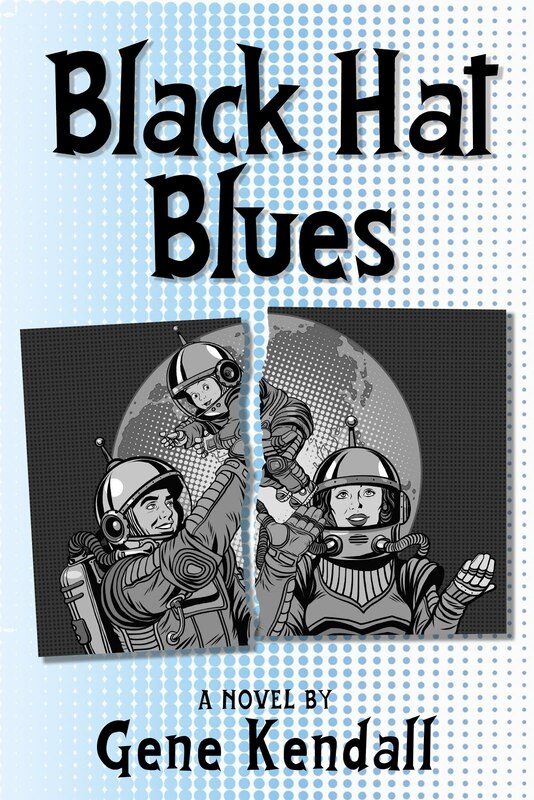 Just think -- two pages of rational conversation in a Howard Mackie comic. How often did that ever happen in X-Factor? Summary: Aria is knocked unconscious and sent back to her cell, where an Ovoid returns her consciousness to her body. Torgo escorts Wolverine to his cell, un-handcuffed, hoping that he’ll see the nobility of the Collector’s plans. His fellow captives attack Wolverine, until they realize that he’s an X-Man and not in league with Torgo. Meanwhile, the Collector receives frightening news from space. 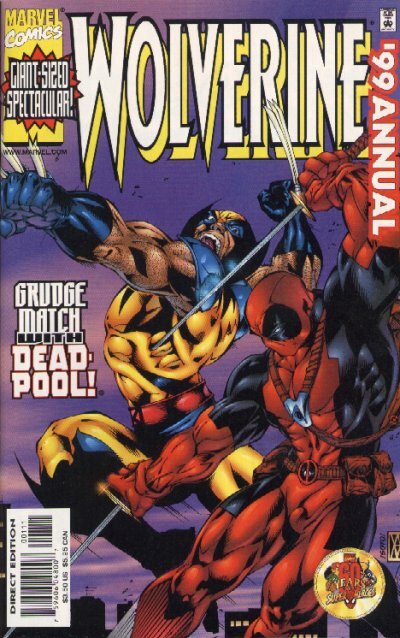 The Starjammers have also learned information that’s forced them to side against Wolverine. Review: More aliens, more pointless fight scenes, and more subpar Jeff Matsuda art. We’ve reached our first Star Wars reference, though, which is amazing when you consider that this is the fourth chapter of the story. It is fun to see characters like Torgo (an alien robot from Fantastic Four #91, as a footnote and flashback helpfully inform us) in a Wolverine story, plus Larsen gets continuity points for bringing back one of the asparagus people killed by Dark Phoenix, and for using an Ovoid to transfer Aria back to her proper body. The Marvel Cosmic material isn’t a bad change of pace, but this plot is still extremely thin, and Jeff Matsuda doesn’t seem too interested in drawing it sometimes. The hints about a vague cosmic threat do add some intrigue to the tired story, but it shouldn’t be too hard to figure out who it’s going to be. And as much as the online fans already hated this story at the time, the final two chapters with the big purple menace just sent them over the edge. 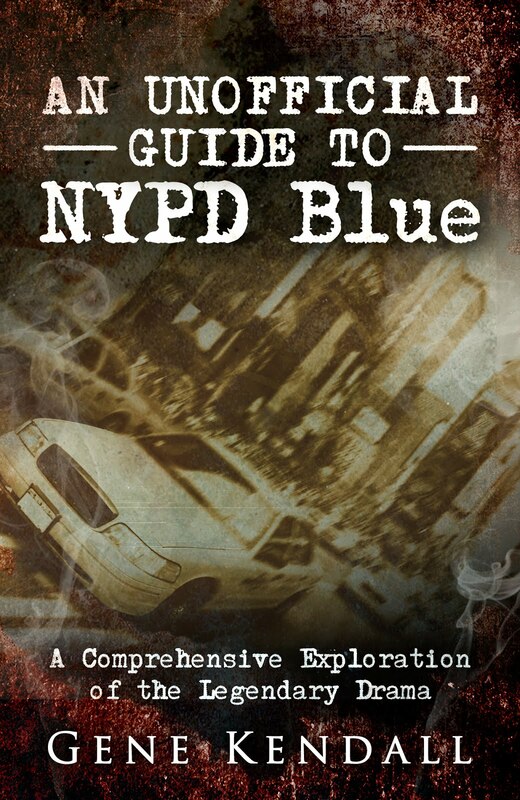 Review copies provided by the studio. Collecting the second half of the first season, The Avengers: Earth's Mightiest Heroes volumes 3 and 4 are now available on DVD. 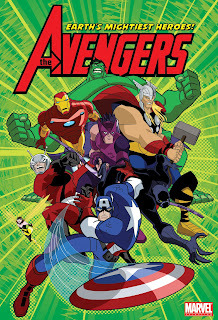 The first batch of Avengers episodes was a pleasant surprise, with solid designs by the late Boyd Kirkland, smooth animation by Film Roman, and stories that modernized classic Avengers battles with only a small amount of annoying Ultimization. The series clearly improves as the episodes continue, as the character designs tighten up, the digital color palate grows more complex, and the stories develop into multi-part, Avengers-worthy epics. Plus, that irritating mall punk theme song has been chopped in half in the later episodes. It’s hard to imagine an Avengers fan not getting a kick out of most of these episodes. 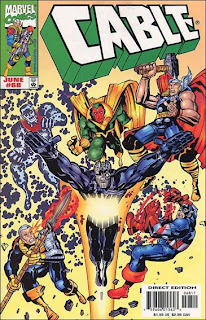 The storylines draw inspiration from everything from Walt Simonson’s “Casket of Ancient Winters” Thor arc, to Kurt Busiek’s global Kang vs. the World storyline from his final Avengers days. Characters you never really expected to see, such as Mockingbird and Ms. Marvel, even make appearances. Actually, Mockingbird does more than make an appearance; she’s a lead character for a few episodes. This must be what DC fans felt like when characters like Vixen and Captain Atom showed up on Justice League Unlimited. Not that Avengers: Earth's Mightiest Heroes is quite on Justice League Unlimited’s level, but it’s the closest any Marvel series has come so far. Whether or not you wish to own these episodes on DVD likely depends on your level of fandom, but the sets are absolutely worth a rental. The entire first season has also been available via Netflix’s instant streaming service for a while now. I’m not sure when season two is set to begin, but hopefully the wait won’t be too long. This is a show that could easily match the episode runs of the ‘90s Spider-Man and X-Men series, assuming Marvel plays its cards right. Summary: In Latveria, Skids and Locus are possessed by the witch Pandemonia, who forces them to take her to X-Force’s headquarters. 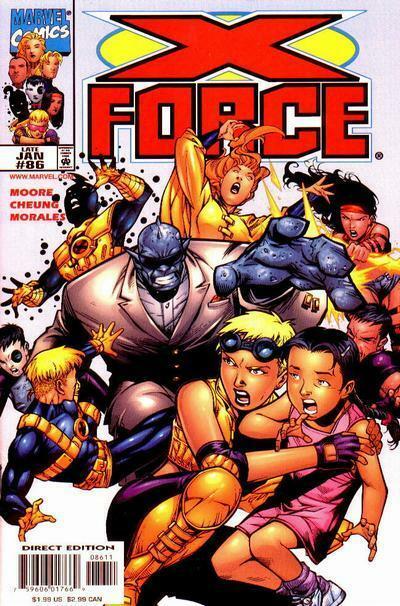 When Cannonball, Moonstar, and Jesse Aaronson return home, they discover Pandemonia has possessed their teammates. They travel to the city and find a young sorceress named Jennifer Kale who’s willing to help. They return to battle Pandemonia and the possessed X-Force. With the help of Jennifer, and Moonstar’s strange new powers, Pandemonia is sent back to the Chaos Plane. Meanwhile, while investigating the Aguilar Institute, Domino discovers a shapeshifting child from Almost Reno, New Mexico. Continuity Notes: Moonstar has been exhibiting odd, almost cosmic-level powers since her encounter with Arcadia in the previous issue. Review: The Skids/Locus subplot is resolved, in a manner that a) leads into a new story, b) doesn’t take forever to answer the dangling questions, and c) actually makes sense. After the days of the Graydon Creed assassination, mysteriously molting Archangel, and wacky powers Jean Grey, this is a welcome relief. Moore’s quite gifted at spinning plates, bringing forgotten characters back into the mix, and tying everything together into a coherent story. I think he’s a little too obsessed with having the team only hang out with twenty-somethings, to the point that an MTV-friendly sorceress is recruited into the action (because the team doesn’t have Dr. Strange’s phone number), but that’s a minor complaint. The fill-in art is provided by Angel Unzueta, whose style resembles Carlos Pacheco’s early work. Not every page is great, but overall he does a nice job. Summary: The Harbinger flies over New York, prompting a military response. He diverts the missiles shot at him and destroys the Statue of Liberty. 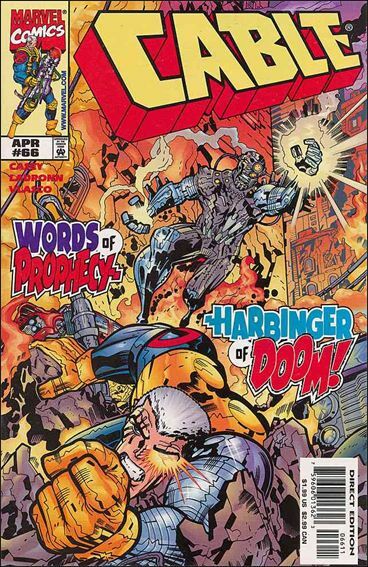 As the city panics, Cable confronts the Harbinger. 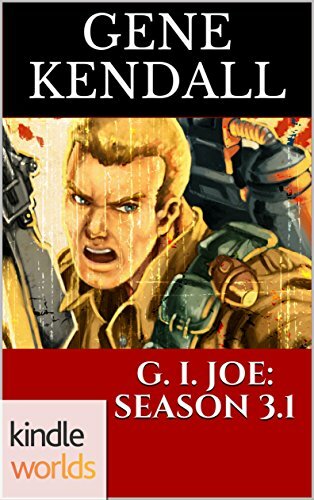 Their battle destroys the World Trade Center and nearly kills Cable. Suddenly, the Avengers arrive. Meanwhile, Ozymandias explains to Blaquesmith that New York must be destroyed in order to stop Apocalypse. He then hints at another prophesy -- the Twelve. Continuity Notes: Cable kisses Stacey for the first time before leaving to fight the Harbinger. I Love the '90s: Apparently, the Marvel Universe is pretty resilient when it comes to rebuilding the World Trade Center. I wonder how long the towers stood in-between the Juggernaut and Harbinger’s attacks? Review: Remember the late ‘90s, when “widescreen” action and wholesale destruction was considered the cure for the post-boom malaise? I actually never got into those comics, but I certainly remember the hype, and it looks like Joe Casey has fallen for it this issue. And, even if the plot is noticeably thin, you have to acknowledge that Ladronn is doing an incredible job with the visuals. I’m sure the story could’ve been tightened up to remove some of the repetitive Harbinger vs. Army fight pages, but Ladronn makes them look so cool, it’s hard to dismiss them as padding. I am a little disappointed that the Harbinger has returned as a fairly generic villain, although Casey does give him a slight justification for his assault since he was attacked first. The turn from “learning about humanity” to outright destroying large sections of New York is hard to swallow, though. And, as I’ve said before, the casual destruction of giant buildings during a superhero fight scene makes these comics now seem ridiculous in a way the creators never intended. Summary: Forge arrives at the academy to install a new Danger Room in the school’s gym. The new technology is made out of a mysterious metamorphic matter that Forge’s recently discovered and rendered inert. As he lectures the students on ethics, Gaia accidentally revives the Danger Room’s originally programming. It emerges as “Paradox” and attacks Forge. With Emma Frost’s help, a shutdown code is implanted in Paradox’s memory, ending the fight. Continuity Notes: Forge says he discovered Paradox’s technology during a “recent…adventure.” I have no clue if this is a reference to a published story or merely an idea Hama was percolating. Forge also casually reveals that the school’s Biosphere (or “Bio-Sphere” as it’s often spelled) is made up of a portion of Karkoa’s body. I know that Scott Lobdell teased a Karkoa story towards the end of his run, but I have no memory of this ever being established. At any rate, Karkoa’s desire to be “whole again” is Forge’s explanation for the Biosphere’s recent disappearance. In other news, Artie and Leech have moved into the attic, and Emma discusses Special Education classes for the boys. Aside from the novelty that the more mature, serious Marvel that hires “real” writers ended up using the same idea, there’s nothing particularly memorable here. Larry Hama exits with a straightforward action story and a brief dissertation on the nature of superpowers and ethics, which is preferable to overly complicated origin stories and interdimensional hijinks, but it isn’t nearly as interesting as his earlier issues. Before he got into Pookas and Tokens, Hama opened his run with some intriguing character subplots and introduced a few civilian cast members that had potential. He seemed to have the right idea -- focus on the characters and give them a few “normal” people to interact with -- but the M/Penance origin storyline derailed the book spectacularly. After that, he focused on smaller, slightly silly story arcs, but the momentum was lost. Marvel wanted a new direction, so beginning next issue, a young writer named Jay Faerber is given the reigns. 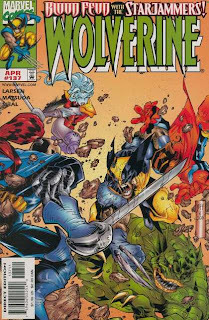 Summary: Wolverine and Aria arrive at Prison World, and are promptly attacked by the Collector’s guards. Their ship is destroyed, forcing Wolverine to escape through an air duct. He’s soon spotted by three patrolmen, but he easily defeats them. Suddenly, an alien places a gun to his head. Wolverine’ relieved to learn that the alien is possessed by Aria. Unfortunately, their reunion is interrupted by Torgo and a Sadri Hunter. Review: Even though this arc was originally released on a bi-weekly schedule, I felt at the time that the story was taking forever to go anywhere. This issue is a good example of how irritating the pace could be -- Wolverine and Aria land on Prison World, and are confronted by Torgo and the Sadri. To be continued! How does that consume an entire issue? 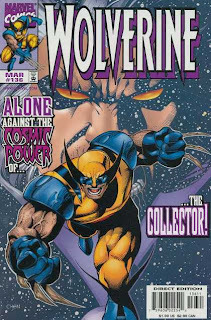 I could live with a few pages of Wolverine ripping through the Collector’s henchmen, but not an entire issue, especially when Jeff Matsuda barely seems interested in drawing them. Heck, on some pages, even the colorist looks like he’d rather be painting his house or something. (Maybe there was a technical problem, but a few of the pages have extremely flat colors that look inappropriately bright, which doesn’t help Matsuda’s occasionally sketchy artwork at all.) There’s nothing particularly engaging about the dialogue, either, unless you really want to hear Erik Larsen mocking Wolverine’s old “Canuckle-Head” nickname for the second or third time since his run began. Summary: Gambit is rescued in the Antarctic by agents of the New Son. In exchange, he’s tasked with rescuing another agent in the Savage Land. Her name is the Courier, and shortly after Gambit frees her from captivity, they’re cornered by the High Evolutionary’s creations. The woman made of green mist that previously rescued Gambit makes her presence known and incinerates the beasts. Gambit allows Courier to leave with plans for a new Terraformer, although he isn’t sure if New Son should have the information. Continuity Notes: A flashback establishes that the X-Men spent three days looking for Gambit in Antarctica, following Uncanny X-Men #350, but he intentionally hid from them. This is, I believe, the fifth comic to back off from #350’s ending and claim that the X-Men didn’t really abandon him to die. I'm not sure if the Courier in this issue is supposed to be the male shapeshifter who later appears in the regular series. I'm under the impression that this character is supposed to be an alien. Review: The X-office made a conscious decision to back off from team books and focus more on solo stars in the late ‘90s, bringing us a Gambit solo series, written by returning writer Fabian Nicieza. I remember some fans complaining that the mail-in Wizard #1/2 issue had important information for the regular series, and Nicieza’s response was that no comic should just be a throw-away story. That means I’m going to have to track down the Gambit Cyber-Comic that was up on Marvel’s website for probably a month or two in 1999 if I’m going to do a comprehensive review of this series. 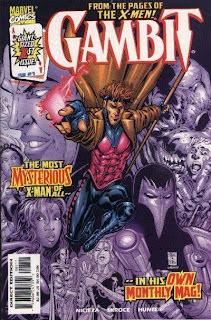 Gambit was already a popular target for ridicule by the late ‘90s, even by X-fans, so a lot of people missed out on his regular series. I was reluctant to get into the book at first, but a series of positive reviews convinced me to at least give it a shot. I’m glad I did, because Gambit was often the best X-title of the month, especially during its first year. Nicieza was saddled with a ridiculous starting point for the book (Gambit had returned with no real explanation, for some reason a green misty lady lived inside him, no one could tell if he was supposed to be back with Rogue again, and no one wanted to address the “shocking revelations” of Uncanny X-Men #350), but he actually took Gambit from this starting point and made the series work, often by addressing some of Marvel’s mistakes head-on. This particular issue, however, isn’t a great indication for what’s ahead in the series. Although I do like the way the New Son mystery played out in the regular series, the introduction here isn’t remarkable at all. Gambit already had a mysterious rescuer from his days stranded in the Antarctic, the Green Mist Lady, so there doesn’t appear to be a pressing need to introduce a second savior. The Savage Land sequence is fun, although it doesn’t make a lot of sense. Courier is trapped in the High Evolutionary’s citadel, yet as soon as Gambit frees her, she casually uses the ID supplied to her by the High Evolutionary to take the Terraformer plans. She makes it clear that the High Evolutionary does want New Son to have this information, she just isn’t sure why. Um…so why was she captive in the first place? This kind of storytelling glitch isn’t the best way to tease your monthly series. I can understand why someone would be wary of the regular book after reading this issue (and Gambit’s previous year of appearances); not that it’s terrible, but a large plot point doesn’t make sense and it stars a character many fans have already dismissed. Thankfully, the regular series goes a long way towards redeeming Gambit, and the quality level is much higher than this #1/2 issue would lead you to believe. The Plot: Betty distracts Façade, giving Spider-Man time to recover and fight back. Façade escapes, but shortly after Lance Bannon’s funeral, he returns to the Daily Bugle. 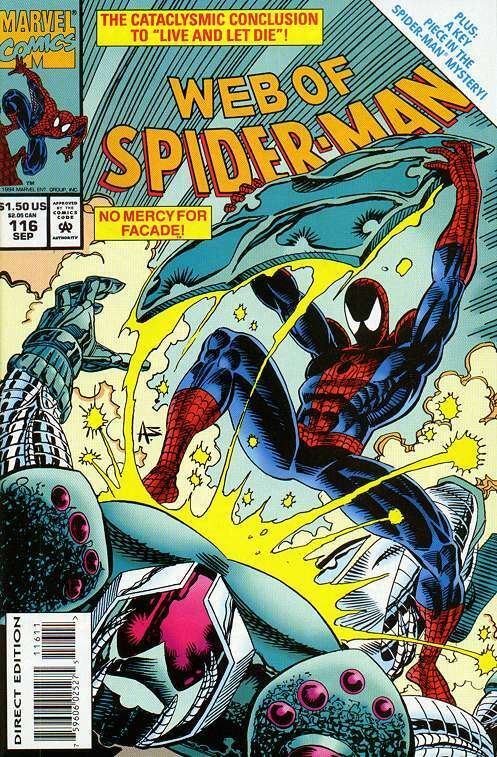 Spider-Man resumes the fight and rips open Façade’s armor. The electric shock temporarily knocks him unconscious, giving the man in the FACADE armor time to escape. The Subplots: Betty vows to continue investigating Archer Bryce, who unexpectedly appears at Lance’s funeral. Jonah Jameson admits to Detective Chase that his son lied about leaving the Bugle with him the night Lance Bannon was killed, leaving John without an alibi. Later, Peter Parker arrives at the hospital to visit Aunt May. May’s mysterious friend arrives at the same time, and runs away when he spots Peter. Web of Continuity: Spider-Man’s more consistent about calling himself “The Spider” this issue, although the speech pattern still doesn’t match “Shrieking” since he’s still telling jokes and doesn’t seem particularly angry about anything. Façade visits Lance Bannon’s grave, and while his identity isn’t revealed, we do learn that he’s an adult male who refers to Bannon by his first name. Review: “Live and Let Die” concludes, awarding us with no resolution to the storyline’s central mystery, although we are treated to the return of Butch Betty. Not only does she keep a literal armory in her apartment, but she’s also concerned enough about her vigilante image to change into a different outfit before coming to Spider-Man’s rescue. That’s commitment, sister. Just think…about three months ago Marvel Time you were an emotionally broken cult member who couldn’t face the outside world, and now you’re in firefights with hi-tech armored killers. Who says ‘90s comics were dumb? So, again, the “mystery” turns out to be a waste of trees and the continuity tie-ins with the “Important” Spidey story of the moment don’t work. Façade’s destined to be a joke amongst the few fans who remember him for years, but at least next issue we’re getting the Spider-clone, and that’s not going to make anyone mad at all. What is significant about this issue is that it’s Alex Saviuk’s last one, which is a shame. His work didn’t mesh with Stephen Baskerville’s finishes at all, but thankfully he’s been paired with the more simpatico Don Hudson for the past few issues. Saviuk certainly isn’t going out on the best story in Web’s history, but that’s not his fault. The art is clear, the characters look like themselves, the fight scenes are energetic, and Spider-Man himself has a nice Romita look, even if his eyes are huge now. Saviuk’s art was often the highlight of this title, and his loyalty to the book is certainly admirable. Actually, his loyalty to Spider-Man himself is remarkable, given that he left Web to pencil and ink Spider-Man Adventures, and then moved on to the syndicated newspaper strip. As far as I know, he’s still drawing the Sunday strips.